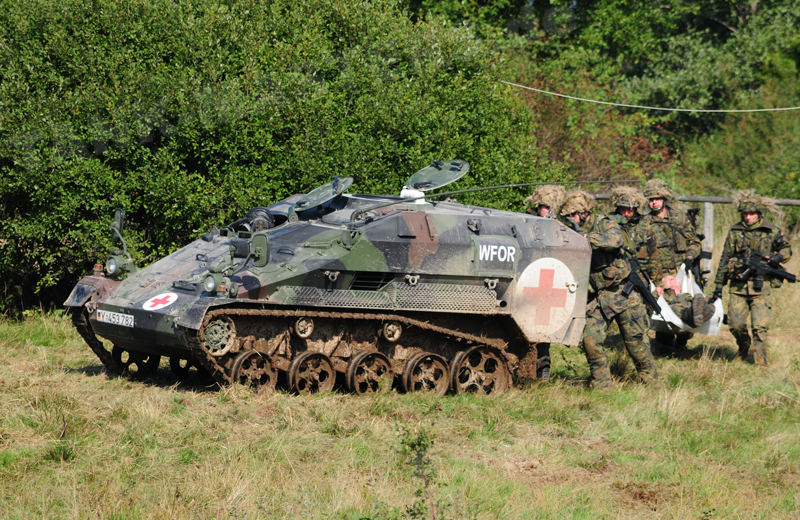 With the Wiesel 2 Ambulance Vehicle the medical serivce of the Bundeswehr was given a light, air transportable vehicle that can be employed to evacute wounded personnel under armor protection even in difficult terrain. The crew of the vehicle consists of the driver and the medic. In addition to the crew one wounded on a strechter and two sitting wounded can be transported. 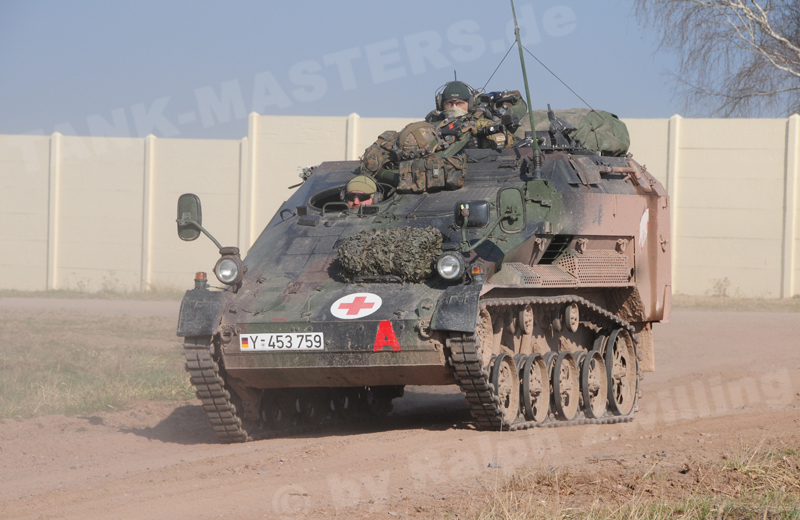 Between May and December 2003 the Bundeswehr received 20 Wiesel 2 Ambulance Vehicles. 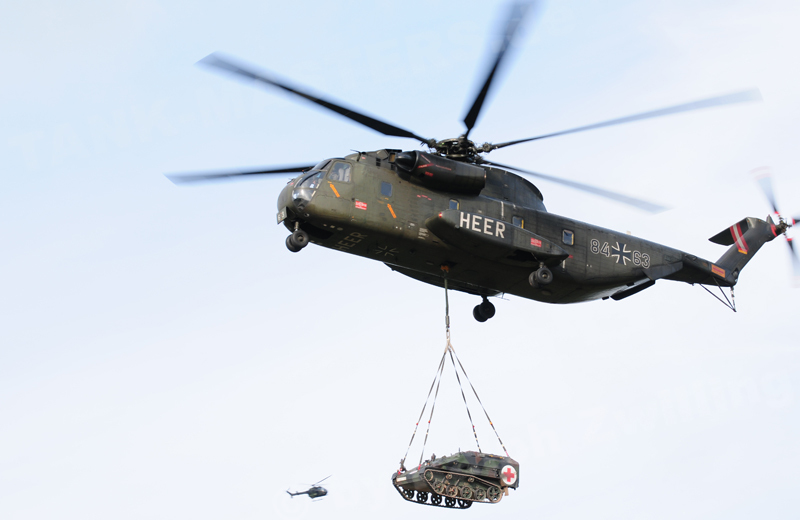 A second production lot with 13 vehicles was ordered in December 2006 and delivered between 2008 and 2009.